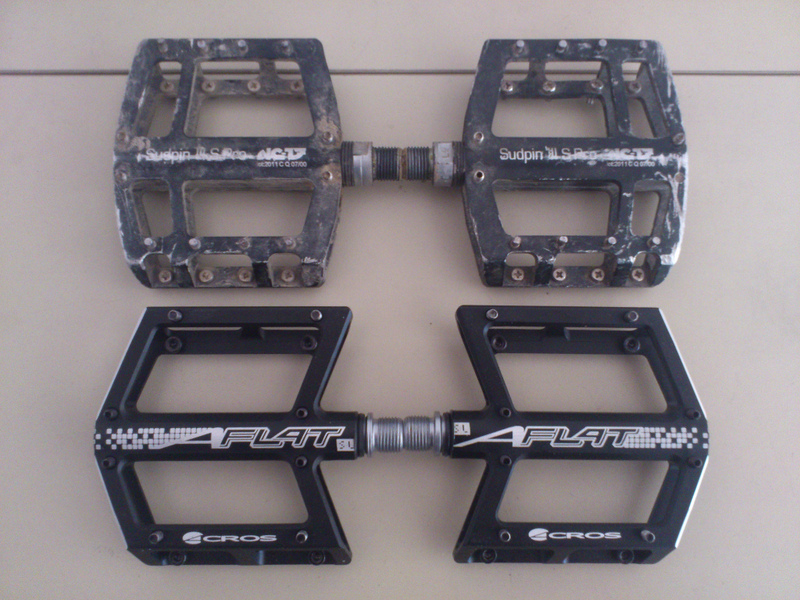 I had NC-17 Sudpin III flat pedals mounted on my Transition Blindside for about 2 years. I was quite happy with them but there were some issues. The pins came loose easily which i luckily realised early enough. Remounting the pins with some loctite fixed that issue. Way more annoying was the small platform of 90x90x15mm. With my large feet (US 11,5) I often was badly positioned on the flats. Especially after mounting the bike it frequently took some time to find the sweet spot for my feet. When one of the pedals made heavy contact with a stone in Semmering Biekpark, I decided to shop for new flats. 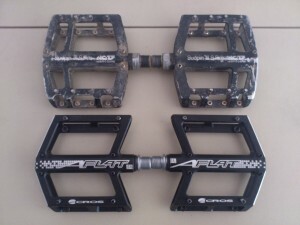 Having considere the Spank Spike and the Syntace pedals the Acros A-FLAT SL were the ones i went for. With a platform of 90x100x18mm they are a bit larger than the Sudpin III and they are even lighter (~350g). I have just ridden the new pedals twice but for now I don’t regret the investment. This entry was posted in Bikes on April 3, 2013 by philipp.